The Cedar River Water System was developed by the City of Seattle in 1895. Almost 100%-owned by the city and under the management of Seattle Public Utilities (SPU), the watershed encompasses 90,638 acres of pristine forest land in the Cascade Mountains. The Cedar River Watershed along with the 12,500-acre South Fork Tolt River Watershed supply drinking water to 1.4 million people in the greater Seattle area. After 9-11, the Federal Government required SPU to undertake a utility-wide assessment to identify critical assets. The assessment revealed that the protection in place on the watershed needed some improvement. 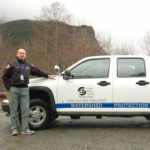 Darian Davis, SPU Security and Watershed Protection Manager, says, “We needed to track and electronically document traffic in and out of our facilities and watershed areas.” The drinking water supply from the Cedar River is unfiltered so the watershed is completely closed to the public. No trespass of any kind is allowed. SPU was tasked with meeting Federal Critical Infrastructure Guidelines for municipal water supplies. With over 30 gate entrances on the Cedar River alone, this presented unique challenges. After extensive research, SPU selected CyberLock to secure all the entrances to the watershed that could not be serviced with automated gates due to no available power and communication lines. In June, 2007, they proceeded to install CyberLock electronic padlocks on these remote watershed gates, storage units, and utility sheds. Since the initial installation, SPU has expanded the CyberLock system to include the 12,500-acre Tolt River Watershed due to similar challenges. A strong reason for implementing the CyberLock system was to maintain their Limited Alternative Filtration status on the Cedar. “CyberLock helps us comply with Department of Health regulations by maintaining a closed and secure watershed,” says Davis. "CyberLock is an important part of SPU’s security plan-of-action that enables our watershed to meet Federal Guidelines for securing critical infrastructure."